Any marketing material is good, let’s get that out of the way right now. Your logo or message on something tangible that you can hand out to the people is a good thing and that’s a fact. However, assuming every business minded individual in the world boards the same train of thought, you will want to stand out. Flyers and business cards are excellent means of communication and Brochures are a terrific way to convey your message, but for a less “wordy” approach nothing beats a Custom Shaped Sticker. “Why Shaped” you ask? It’s simple really. Even amongst a sea of other promotional stickers, your stickers shape can make it unique to you and your company. A shape based on your logo or product not only makes your sticker special, but it grants the potential to even become collectible. If not collectible, at least something that won’t be thrown away. There are certainly other uses for a shaped sticker outside of marketing and promotions. for example, they make terrific product labels. What about Wedding Favors, Birthday bag fillers, Business Cards, Envelope seals and so on and so forth. 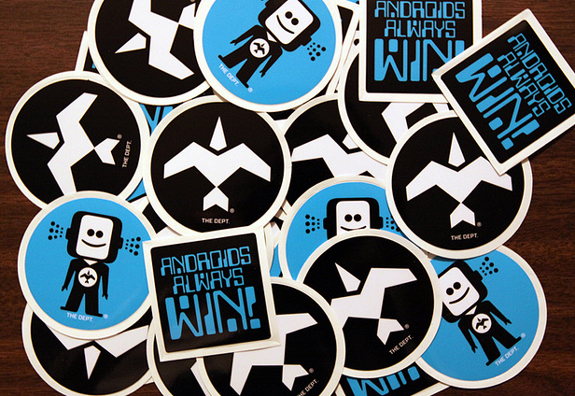 Anywhere you can use adhesive or tape, you can use a custom sticker. Why not brand everything? Better yet, why not give your customers the opportunity to brand things for you. Your stickers (if designed nicely) can grace the backs of laptops, tablets, cell phones, binders, notepads, bumpers and more. Marketing at the cost of a single sticker…not a bad ROI is it. This entry was posted in Marketing on September 10, 2013 by Nick Dillard. Growing up (in the 80’s), there were many simple pleasures that one could count on. Fast food, MTV, comic books and a fresh pack of your favorite brand of Trading Cards. Opening a new pack was like playing the lottery in the sense that you never knew what you were going to get. These days, the game has changed just a bit. Now, you can open a pack of Trading Cards featuring yourself, your children, co-workers or your favorite pro Athlete! No more hoping for the card you REALLY want, just create it yourself. I know that’s sort of cheating, but who cares…really. One of the most precious experiences is watching a child react in awe at his very own Trading Card. The pride of giving it out to family members and friends. What better way to document the career of a young budding superstar than with a fully customized trading card complete with stats. Not only would the kiddies enjoy this versatile product, but adults too. Your employees or co-workers can feel like celebs with a trading card rather than a regular business card. Maybe a nice way to stand out a job fair. Your picture on the front and your resume on the back. Something creative and unique to ensure you stand out from the crowd. There are truly a ton of ways that you can utilize a custom Trading Card. The only limit is your imagination. Happy Printing! This entry was posted in New @PrintPapa on August 29, 2013 by Nick Dillard. We are all used to the usual around this time of year. Thanksgiving and Christmas Cards fill mailboxes across America and steal the show. There is a holiday that seems forgotten though. A holiday that truly begins the “Holiday Season” and should be treated as an equal to it’s counter parts. That holiday, of course, is Halloween. 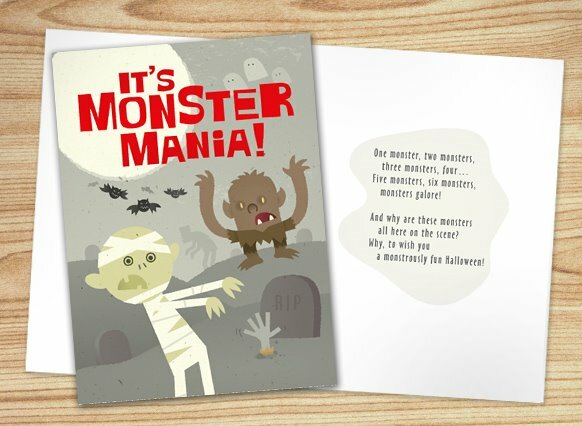 Now some of you currently send Greeting Cards or Party Invitations to commemorate Halloween already, but far too many people are selfish with their Halloween cheer…or fear, whichever you choose. An ideal holiday to celebrate for an entire month, Halloween only ends when October does, giving you 31 full days to throw parties, events or scare the pants off of your loved ones. Why stop at Greeting Cards and Invitations though. Why not Banners, Wall Stickers or Halloween themed Business Cards (seasonal of course). There are so many ways you can take full advantage of your Holiday season so don’t allow yourself to be limited. Reminder: This time of the year is also an excellent time to print your Thanksgiving, Christmas and NYE cards. This entry was posted in Fun Stuff on August 23, 2013 by Nick Dillard. It’s the age old tale. Designer designs artwork. Designer sends artwork to print. Print shop sends the print job back to designer and the colors are all wrong. It happens way more often than it should and the worst part is, it can be avoided. The reason the colors on your print job are wrong can be one of a few, but the most common reason is the color mode. Before we get into what needs to be done, lets first explore the two types of Color Modes or CM’s. RGB or Red Green Blue. You are experiencing it right now. RGB is an additive type of CM that combines the primary colors in variation, to create other colors. It is the CM used for all digital display. Computer screens, Cell phones, Tablets and so on. 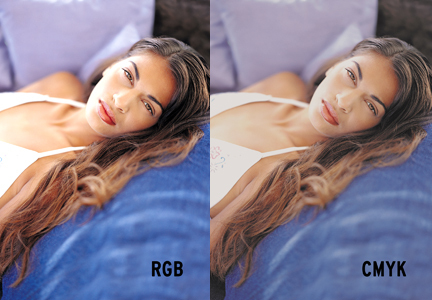 RGB offers a very wide range of colors and is best suited for digital imaging. CMYK or Cyan Magenta Blue Black. Every printer uses this four color process to generate full color images. CMYK is a subtractive process meaning each color added means more light is removed or absorbed to create other colors. The first three colors combined don’t create black, more like a dark brown, however when the K is added it removes all of the light from the picture and the eye perceives it as black. “Now, what does this mean to me when I design?” Great question. The best practice when creating a design for print is to do so in CMYK. There’s nothing worse than getting your business card back and the colors are nowhere near what you wanted. If you design it in the correct CM, the printer won’t have to convert the files, thus destroying your intended color scheme. For every RGB color, there is a comparable CMYK color. They don’t always match perfectly, but the differences are rarely easy to detect by the average person. Keep in mind, the hardest color to match is going to be Blue. Another note to keep in mind is the fact that CMYK will always look more muted than RGB, especially when you look at them on screen. A good way to make sure you get similar colors or as vivid an output as possible, is to place a photograph side by side (one RGB and one CMYK) and play with the color values and contrasts on the CMYK version until it looks close to the RGB. Most times, this is not necessary, but if you are really particular about a picture it’s a trick you can use. That’s a pretty brief overview of the two different CM’s. Remember, RGB is for screens and CMYK is for print. If your colors don’t look right on a print job, there is a good chance you sent the printer an RGB file. Happy printing! This entry was posted in Design Tips on August 13, 2013 by Nick Dillard. 2. Bleed is a safe zone outside the trim area. 3. Margin is a safe zone inside the trim area. 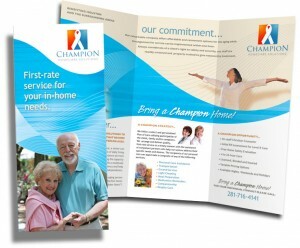 Without the bleed, there is no guarantee that your print job will come out printed as intended. This is only true for full color artwork. If the background of your artwork is white or needs no printing, then there is no need for bleed (so poetic). 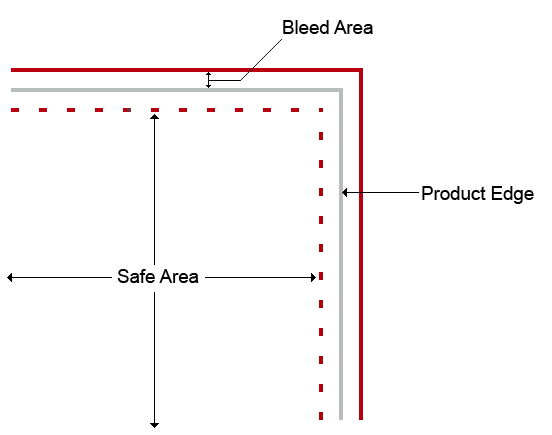 Typical bleed are is 1/8″ outside of the finish size or “Trim line”. 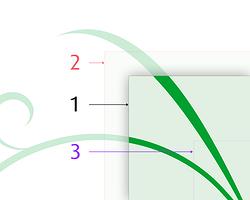 This means that your artwork should have an extra 1/4″ added to the full size before you send it to print. For example, an 8.5″ x 11″ document should be 8.75″ x 11.25″. Most print companies offer templates for the products they sell and they are always free. It’s always best to download and utilize these templates to avoid any printing errors. This is just something that you will want to keep in mind when designing anything for print. This entry was posted in Design Tips on July 29, 2013 by Nick Dillard. The fact is, regular Business Cards can get a bit mundane. Run of the mill rectangles, even when beautifully designed, don’t really stand out when you hand them to someone. Imagine a Triangle or an Octagon. Something unique. Imagine the impact of an amazingly designed BC printed on an unusual shape. There are other interesting aspects of a shaped BC, the main one being shapes that pertain to a theme. A Cloud computing firm would certainly benefit from a cloud shaped business card. Flower for a florist and so forth and so on. The potential is limitless, it really is. Only stymied by your own lack of imagination. This entry was posted in New @PrintPapa on July 18, 2013 by Nick Dillard. 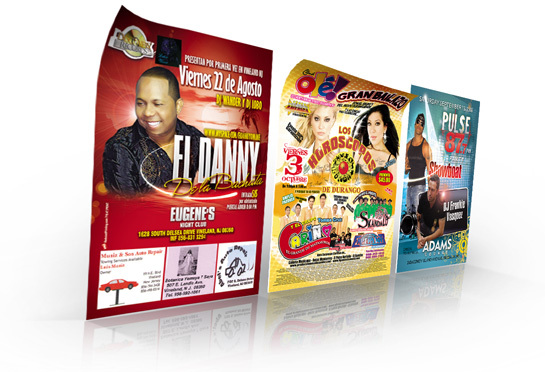 There are plenty of marketing materials you can print to promote your company. While business cards and letterheads are terrific for branding your business, anyone can spend a few dollars and have their own. Full color Brochures tell potential customers that your company plans on longevity and is willing to invest in telling you their story. Another benefit is the amount of time you can save. Writing an individual letter to every person that shows interest in your company can become a very daunting task. A brochure can be shared with anyone and understood by all (well most). The perfect Brochure will entice customers with just enough information to convey the purpose of your company, give them an idea about what you can do for them and explain how you can be of assistance all without being overly wordy. Let’s face it, nobody likes wordy. Vivid imagery and well pointed verbiage are always the best approach. Keep it informative and easy to understand, the rest is purely up to your imagination. Happy printing. This entry was posted in Marketing on July 8, 2013 by Nick Dillard. The ISBN, not as boring as you thought it was. I guess the title of this blog should’ve been “ISBN, stuff you should know, but never cared enough to ask”. The truth is, if you are a self publishing author, the ISBN is either useful to you or it’s not. 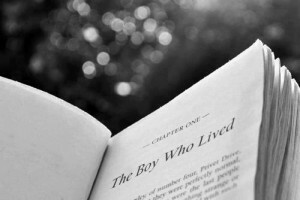 It all really depends on what you expect your book to do. 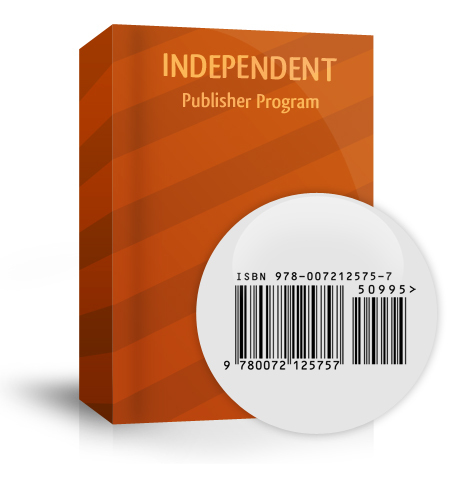 In order for your book to be sold by most retailers and tracked, you need an ISBN (International Standard Book Number) and a barcode. 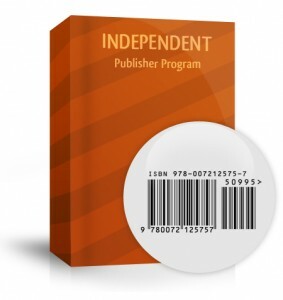 Why Should I own my ISBN? : It’s recommended that you, the author, are the owner of your ISBN. There are publishing houses that offer to sell you an ISBN at a cheaper rate, but the fact is that you don’t own it even if you pay for it. If you haven’t signed up for the ISBN, you are not the owner of the number and thus don’t own the rights to the book it is registered for. Long story short, it’s better to buy your own. Where can I get my own? : You can sign up for an ISBN here. This website also has everything you need to know about ISBNs and can answer any questions you may have so rather than regurgitate all of that information, I will recommend you go there. Fill out the documents, pay the fees and you will be good to go. It is a rather lengthy process so prepare for that. You also want to have all the information about your book ready. This entry was posted in Tips & Tricks on June 27, 2013 by Nick Dillard. If you are a self published author, you know that there is no easy way to get your book published and printed unless you have serious financial backing. That being said, some print companies like PrintPapa.com are making an effort to change that reality. How? Well, let’s explore that question. One way is to simplify the book printing process. Offering short run’s , reasonable turn-around times on hard copy proofs and very competitive pricing are just a few of the benefits when printing your book through PrintPapa.com. They’ve recently made a few production changes that directly lowered the pricing on Black & White book printing so not only do you get very comprehensive customer service and an excellent product, but you also get all of this at a terrific price. There are no laser printers on the production floor at PrintPapa.com. Your books will be printed on 2 state of the art HP Indigo’s on premium paper. Though the prices are kept competitive, there are no corners cut so don’t expect dirt cheap. 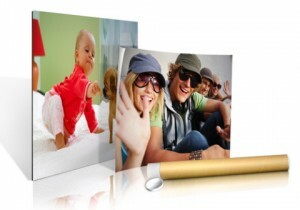 Quality is paramount at PrintPapa.com and that is blindingly evident in their product. Out of all the options you will find at PrintPapa, the one thing you won’t find is outsourcing. All book printing and binding is done in house which is yet another reason why, as of June when the prices were lowered, they can offer such a superior product and come in under your budget. This entry was posted in New @PrintPapa on June 12, 2013 by Nick Dillard. There are a plethora of uses one can think of for Posters, but sadly it seems that people consider them to be a huge expense. Thankfully, this is not the case, not anymore. A large photo print of special family moment, a movie style poster of an upcoming event or even a printed piece of art produced to sell or give away can be created in small quantities for affordable prices. Some places like PrintPapa.com, off large Poster minimums as low as 1. That special and very thoughtful birthday, anniversary or just because gift you were trying to find, you can just create yourself. It’s as simple as printing it out. This entry was posted in Tips & Tricks on May 28, 2013 by Nick Dillard.